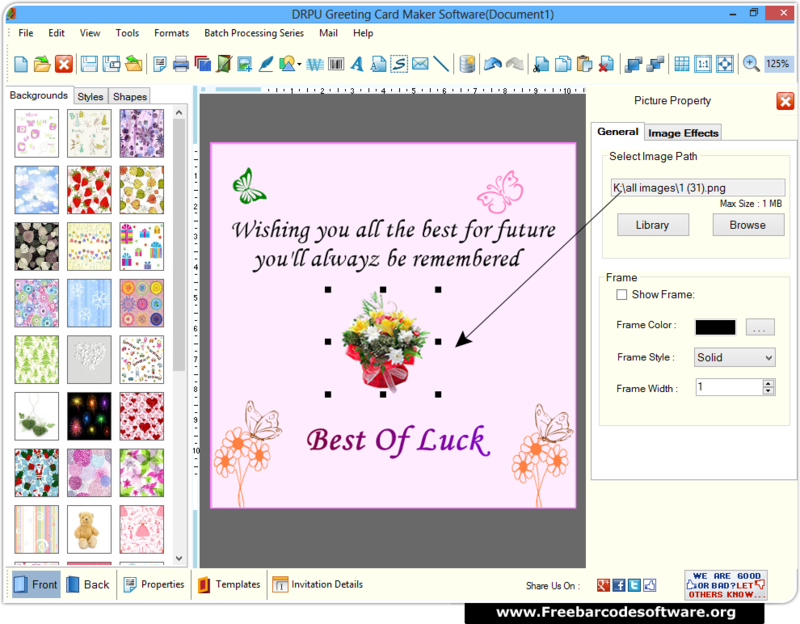 Select one of the above options to start designing your greeting card using New Label Format. 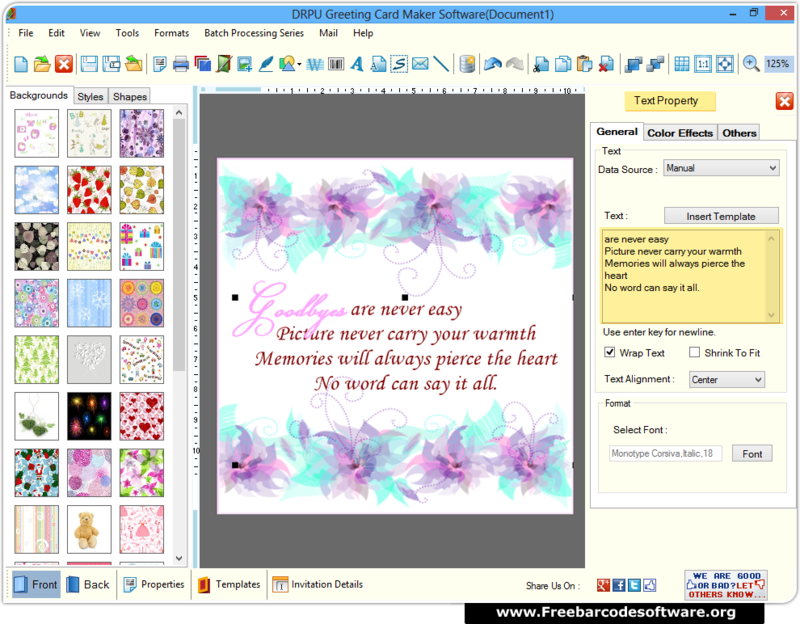 Specify card types, visible sides along with background of the card. Click next to proceed. 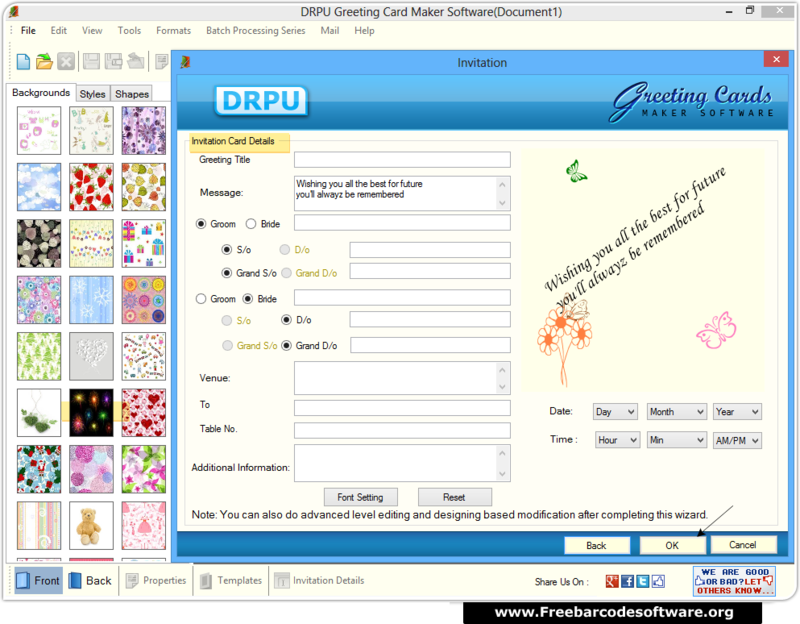 Add invitation details on your card and click Ok to proceed. 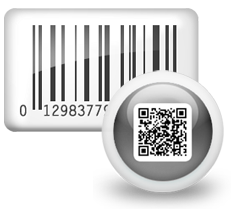 Click on picture tool from top and browse path of the image. 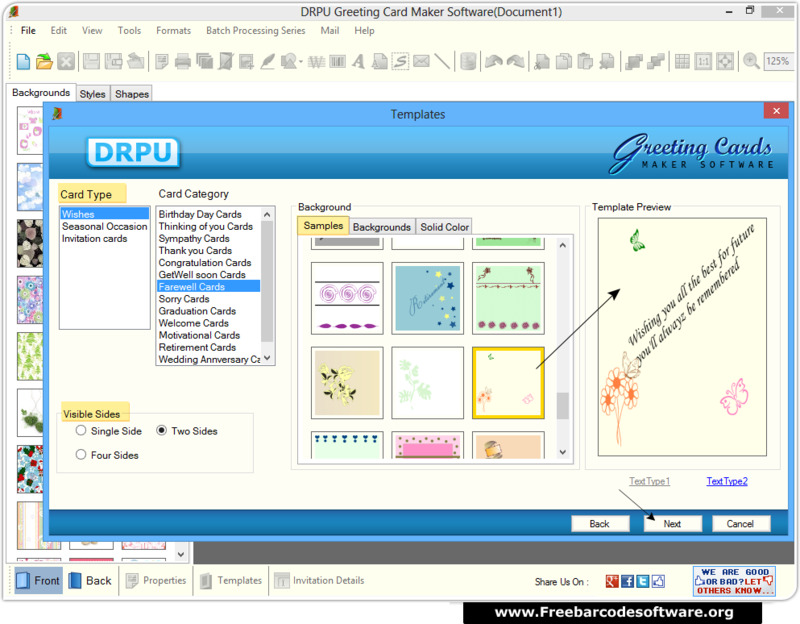 From right panel add text either manually or using Batch Processing feature. 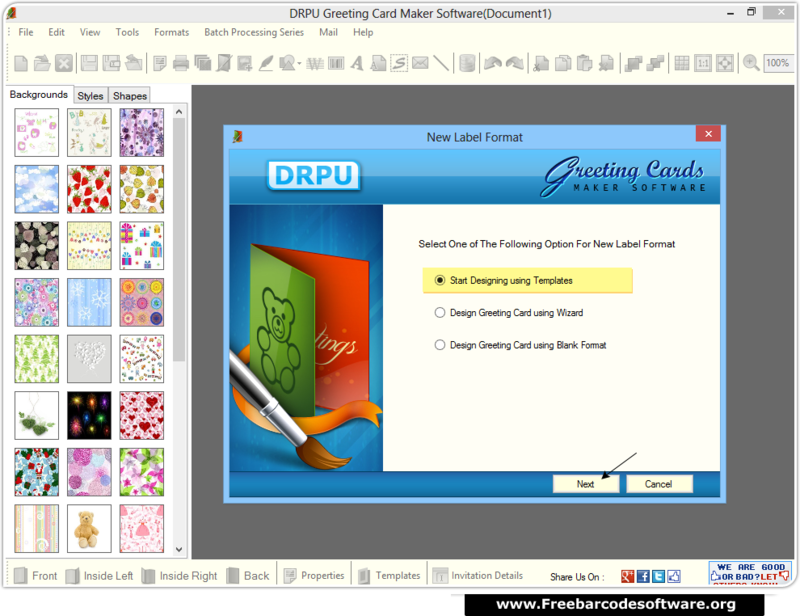 After completion of designing process, go to print option from tool bar to print your card or save it on desired PC location.